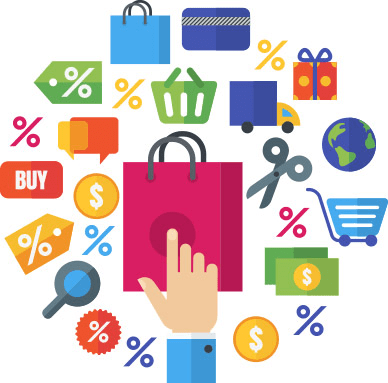 We at Completenet are committed to the idea of creating Affiliate Ecommerce Websites that are functionally solid, beautiful and completely optimized. TCN Mart is a professional web design and web development company with vast experience in Affiliate Ecommerce Websites in all niche industries. We harness our strategies and innovative designs to deliver the perfect website to promote your business on the internet. Customer satisfaction has been a primary objective in all our ventures. TCN Mart employs professionals who are dedicated to the purpose of delivering projects that meet the demands and standards of our customers. We are also equipped with a professional customer care service to handle any queries that might arise during the projects. We have access to a diverse and extensive reach of affiliate networks to ensure a targeted exposure of your campaign and excellent results. Our specialized team will manage your associations and report on campaign outcomes such as the resulting conversions, the number of sales made, traffic generation and campaign popularity comparisons.